Red Wine, Green Tea and Dark Chocolate: Extra Virgin Olive Oil May Protect Against Alzheimer’s Disease. Extra Virgin Olive Oil May Protect Against Alzheimer’s Disease. Mice with Alzheimer’s disease were given oleuropein aglycone, the main polyphenol found in extra virgin olive oil for 8 weeks. The results showed that dietary supplementation of oleuropein aglycone strongly improved the cognitive performance of the mice compared to the group that did not receive the olive oil polyphenol. The scientists also conducted memory performance tests and noted that in the mouse model, cognitive impairment was completely prevented by oleuropein aglycone administration to the mice. 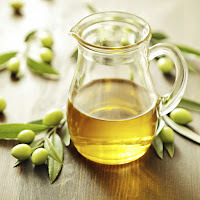 While it is not the first time that olive oil and the Mediterranean diet appear to protect from Alzheimer’s, this research adds more evidence that, at least in part, these benefits can be traced back to the intake of extra virgin olive oil and its main polyphenol, oleuropein aglycone.